It’s rare that my modeling ventures much outside of World War II. In my opinion, the years of 1939-1945 are lightning in a bottle in terms of aviation history and the airplane’s use as a weapon of war. The aircraft left standing in 1945 were light years ahead of their pre-war predecessors in every possible way, but they were also the last of their breed. The age of the jet was in the offing, and many pinnacles of piston-engine design – such as the Grumman F8F Bearcat and Goodyear F2G “Super” Corsair- found themselves relegated to footnotes. A few WWII aircraft soldiered on into the early conflicts of the Cold War, and one of the most prominent was the Chance Vought F4U Corsair. While jets assumed most air-to-air roles over Korea, the Corsair traded on a reputation it earned in the later stages of the Pacific War as a very effective strike fighter, and was employed largely in a ground attack capacity. 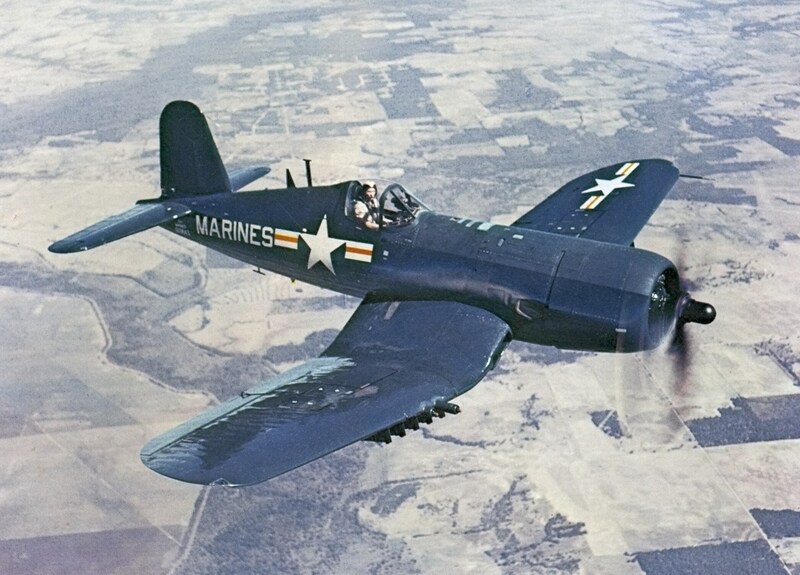 The AU-1 was the last variant of the Corsair the U.S. military purchased, and was built as a dedicated strike aircraft for the Marines. 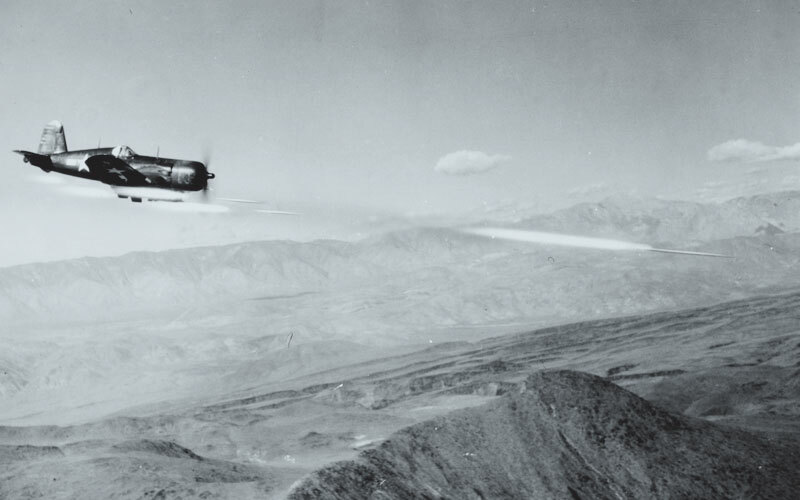 The supercharger was revised and optimized toward low-altitude operations, and armor plating was beefed up to make the Corsair even more resilient in the face of ground fire. One of the things that sets the AU-1 apart from other Corsairs is that it stayed in service long enough to make the transition to the gull gray and white scheme the Navy adopted in 1955. Next to the steady parade of blue F4Us, the AU-1 sure stands out. I knew I had to build an AU-1 as soon as I first learned of its existence. The Corsair is one of my favorite aircraft, particularly the later variants (-4 and above), and the AU-1 in hi-viz gray and white offers a very distinct look from pretty much any other Corsair. After months of scouring eBay, I finally scored one of Hasegawa’s out-of-production 1/48 AU-1 kits last fall. Lately it’s been popping up in my mind with increasing frequency. Hopefully it’ll be one of the kits I get to this year. Previous Post PCM Fiat G.55 – Splinter or RLM? Wow, love that scheme. That’s new to me! Nice, and congratulations on the find. Yes, the Corsair is one of my favorite birds, but my favorite variant is the -4 in WWII markings. For some reason I’ve never developed a great appreciation of Korean prop aircraft, but that said they certainly did their part. Your point about the technological progress during WWII is of course well taken, and because of where the U.S. and other nations (Britain, for ex.) were at the end of the war it’s not surprising to me that there were ‘leftovers.’ I would submit, though, that the period between 1954 and 1970 is quite dymanic in it’s own right, and then from from ’72 to about ’83. I use those timeframes to bracket the development of the U2 and F-104 to the XB-70 (and including the X-15 project), and then the A-10 and F-14 development to the F-18. I’d have to say that for me the period of the late ’50s and into the ’60s, especially with the Lockheed developments, are my favorite. The space race really fueled some ideas.